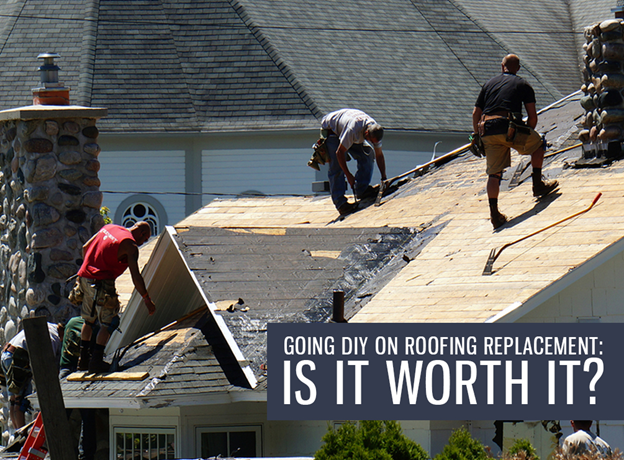 Going DIY on Roofing Replacement: Is it Worth It? Home » Going DIY on Roofing Replacement: Is it Worth It? A roof replacement is a huge project that requires extensive knowledge, skills, and equipment. As your roof is high, sloping, and has no rails around it, it is a dangerous place to work on. A homeowner’s greatest consideration on going the DIY route is the savings. While it may sound like a good option, premature roof failure and roof damage means this is not worth doing. Safety – If you have little to no experience in installing roofing materials, it is best to leave the work to a professional. Your roofing in Danbury, CT, requires careful evaluation, planning, and installation. Even if you are comfortable spending time on the roof, certain factors like the weather or power lines can easily put you in danger. Expertise – Without the necessary expertise, you may expose your roof to premature failure. This will lead to weak structure that is susceptible to water damage. Moisture and other elements can also easily make their way inside the roof. Equipment – Every roofing in Greenwich, CT, needs proper equipment. Some of these can be costly, and it makes little sense to invest heavily on equipment, which you will only use once. Manuals can only do so much on trying to get a hang of these tools. An experienced roofer can handle them easily. They can also do the job a lot quicker. Timeframe – A professional roofer will stick to your agreed timeframe. This is especially important during the rainy seasons. They can send additional workers to minimize delays. Materials – Hiring professional roofing contractors in CT allows you to tap into their supplier network, giving you access to high-quality materials. At Vinylume, we are certified to offer and install GAF roofing products. Warranty – You don’t need to worry in the case of roof malfunction, as hiring a pro will protect you from these. Vinylume offers the best warranties in the industry, covering your roof from harm through many years. When you choose a professional roofer, you can save yourself of all the risks and hassle that come with going DIY. Call us today at (866) 244-8029 for a stress-free roofing replacement. You can also request for a free estimate.